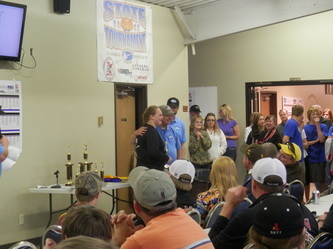 Spring of 2013, "School of Fish" presented by professional fisherman Mike Frisch, was held at Lac Qui Parle Valley High School and Montevideo High School. 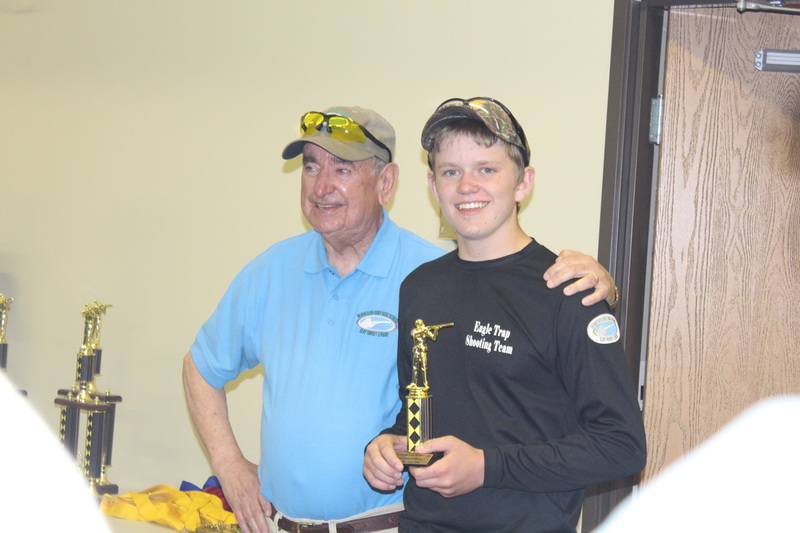 The students who participated in the program learned the basics of open water fishing, including how to tie a knot and set up a slip bobber fishing rig. 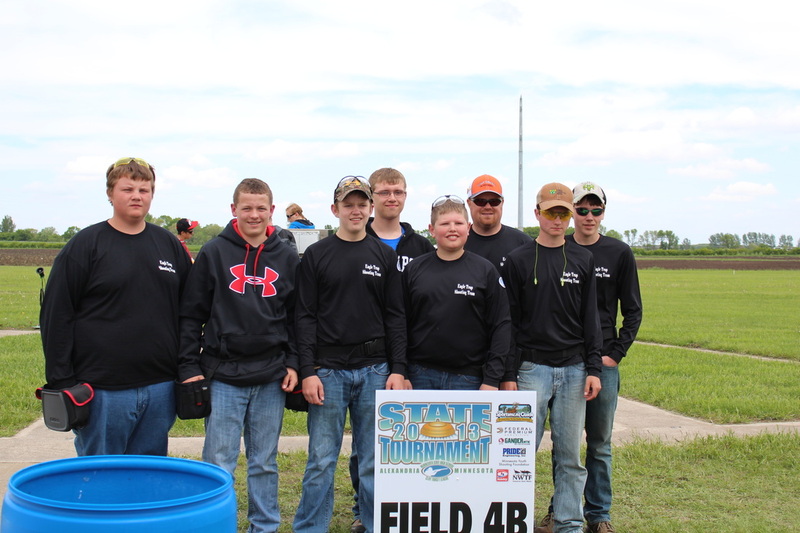 All participants received a fishing rod/reel combo, t-shirt, snack bag and book on fishing. The Fall of 2013 brought Mike back to our area for a new class called "School of Fish On Ice". **Mike Frisch is shown with a rod/reel combo demonstrating the proper use for the students. Professional fisherman Mike Frisch demonstrates how to tie the proper fishing knot. A group of girls working hard to set up their new rod/reel combo with a slip bobber set-up. Mike is such a great teacher that this young angler can tie a knot with his eyes closed! The Spring of 2013 was an exciting time for a number of students in our area. 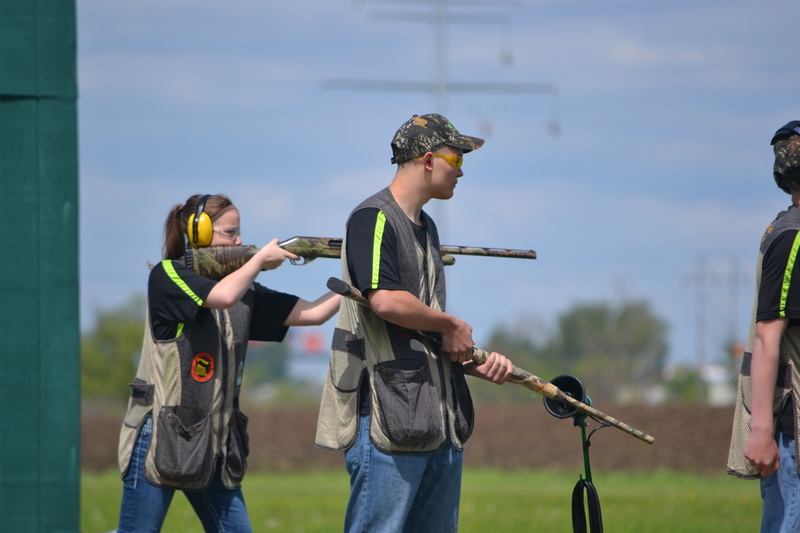 A trap shooting league was introduced to students in the Montevideo and Lac Qui Parle Valley School Districts. 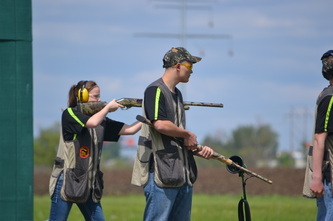 Each school put together a team of young shooters who participated in the league. 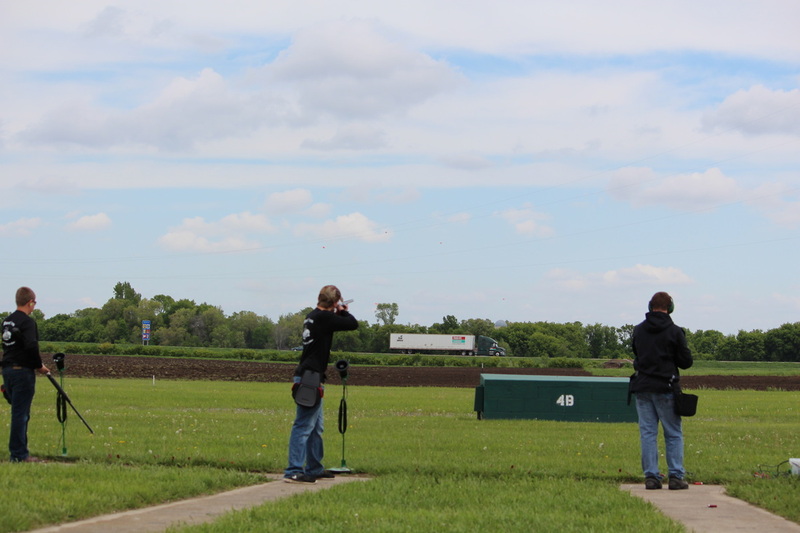 Lac Qui Parle Valley had 25 students participate in trap shooting. 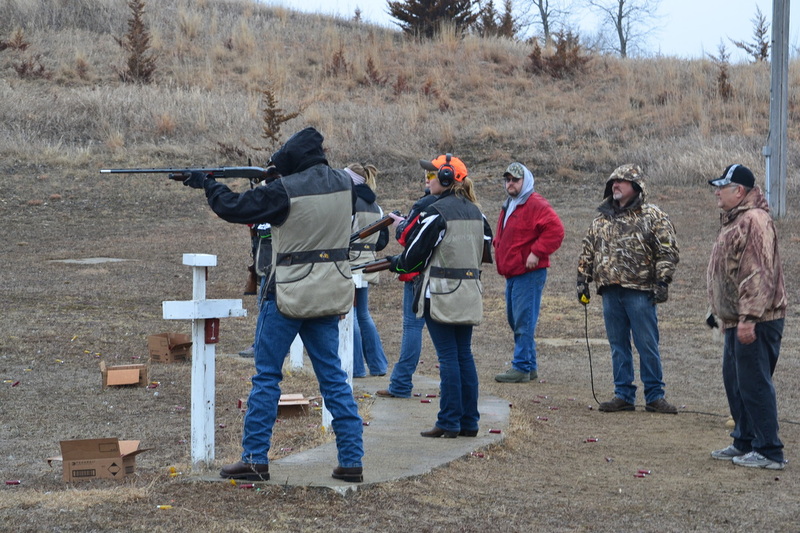 Students improved their shooting as the year went along. 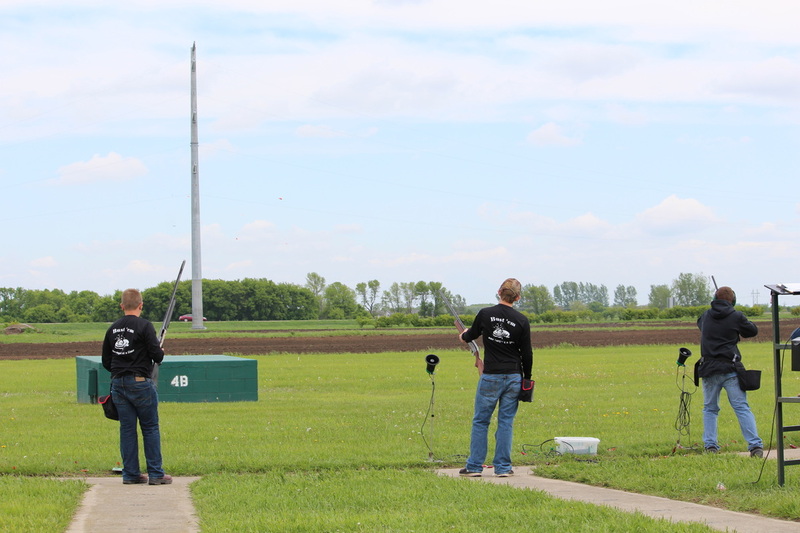 They shot 7 weeks and each week shot 50 rounds. Of the 25 shooters 13 of them went to the state tourney in Alexandria. 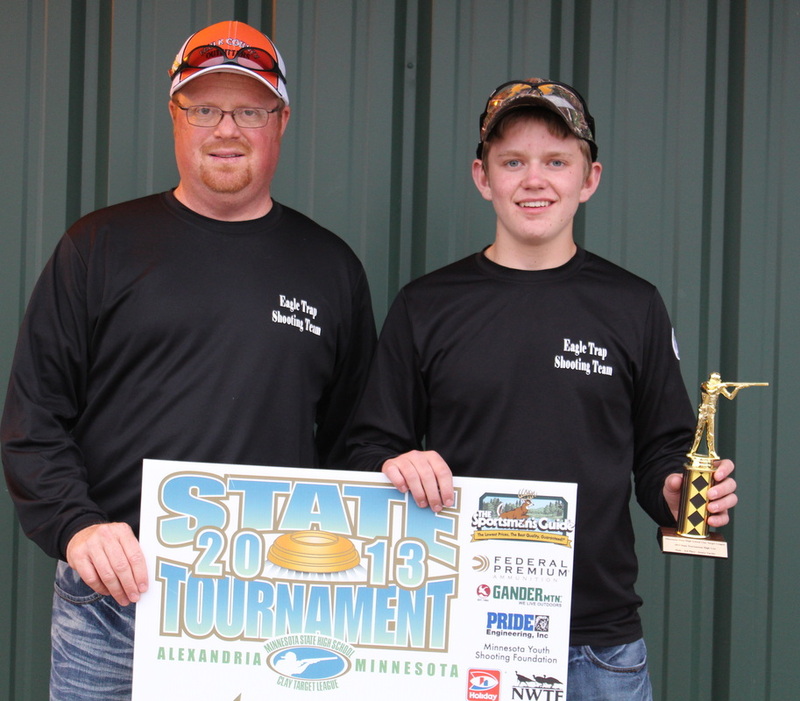 Two of those students brought home trophies from the state tournament. Chloe Sachs took 3rd place in the female novice division. Quintin Peterson took 3rd place in the JV division for males. This was wonderful to having two students win a trophy during the first year of participating. As a team they finished 14th out of 96 teams. We look forward to the upcoming season and hope both schools build on their numbers from last year. 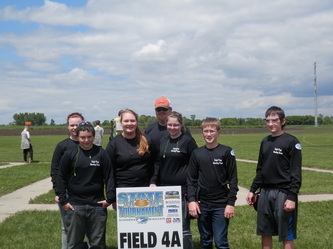 Montevideo High School Trap Shooters who participated in the 2013 State High School Trap Shooting Tournament. 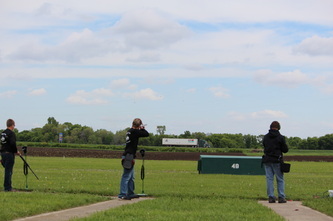 Danielle Hiepler of Montevideo is set at the line. Marv hekping out a Montevideo shooter. 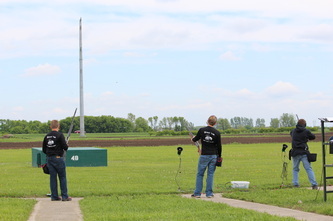 Quintin Peterson and LQPV Coach Robyn Rademacher after Quintin's perfect round of breaking 25 clays at the 2013 State High School Trap Shooting Tournament. 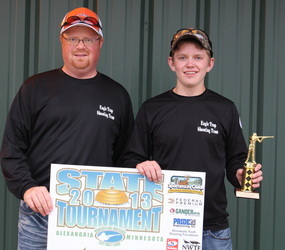 Quintin Peterson, LQPV, placed 3rd in the JV Divison of the State High School Trap Shooting Tournament. 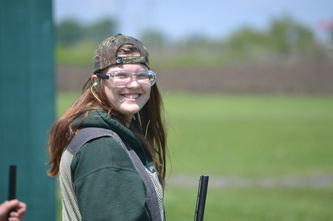 Chloe Sachs, LQPV, placed 3rd in the female novice division at the 2013 State High School Trap Shooting Tournament.